I'm concerned about Technorati and not just because of technical difficulties. 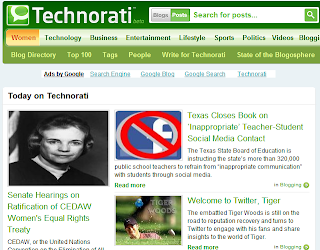 Is Technorati taking it's eye off the ball with the Woman Channel, is it becoming political? 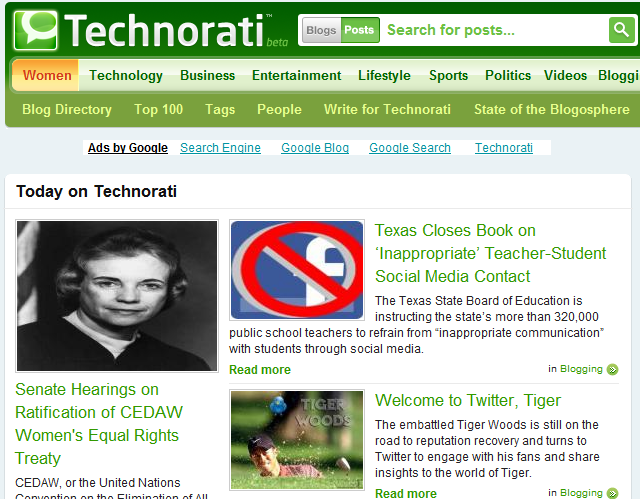 Screen-shot of new Technorati Page in Beta. Note the Women Tab in the upper left hand side of the page.